There are often days, especially on the weekend when the gym opens late and closes early, that I struggle to fit in a good workout. My pups do love going for a good run but I usually just run about 2.5kms at the park while they play with other dogs and sprint to catch up with me. But even then, I’m really not pushing myself. I have a horrible motivation problem when it comes to running so unless I’m partaking in a race, my effort levels will be minimal. At home, I’m somewhat motivated to workout, but it's nothing like the motivation I have at the gym. I somehow feel the gym is like a competition and I have to prove myself to the people around me (yes this even falls into my running interval routine). I’ve tried monthly challenges, blogilates, etc. I just can’t seem to stick to a stable home workout routine. Mainly because I frequently change up my workout routine to keep me entertained. I recently started trying the MASHUP 15-Minute Digital Workouts from Booya Fitness**. These are 15-minute workouts that can be done at home. It is recommended to have various exercise equipment to aid in these workouts, but I decided I would work with what I had around the house. It is suggested you have: a yoga mat, dumbbells, resistance bands, foam roller, storage bin, kettlebells, mini trampoline, and a chair. Looking at the workouts that are a part of the 15-minute MASHUP I did not need the foam roller, storage bin, kettlebells, mini trampoline, or the chair. My housemate had 5kg dumbbells, so I borrowed those. I had my own yoga mat, but truth be told I did not use it. I don’t mind lying on the floor, and I generally don’t need the support of a yoga mat. If you have carpet in your house, you could probably skip buying one. As for the resistance band, I used my ballet band that I’ve had for years. It’s meant to help dancers obtain a middle split, needles, and arabesques but I often use it as a resistance band. First impression, these videos are great. Only 15 minutes long, five simple moves with three levels of difficulty, it is an excellent way to get in a quick and easy workout when you don’t have the ability to go to the gym. A few days into trying them I ended up straining a ligament in my ankle after racing in the Operation Blackhawks race. I ended up going from doing these workouts at level three to profoundly modifying the workout so that I was able to get some form of exercise in. After hurting my ankle, I found I would give up after the second set only because I felt I was doing more harm to my body than good (I really should be resting my ankle). I do wish more of the workouts were available in the bundle. It would have been heaps of fun to try the burlesque workout and some of the dance workouts. It also would have been interesting to see how some of the other instructors lead their classes. You’re able to preview some of the workouts, but it is usually only a couple of minutes and falls during the warm up. While the instructor in the videos I sampled was incredibly knowledgeable about health and fitness, I tend to like a workout instructor who is either super high energy or yelling at me through the TV. It helps keep me motivated throughout the length of the workout. Overall, if you have limited time to work out and want a good, short, challenging workout these are the workouts for you! Booya Fitness has been kind enough to allow me to host my first giveaway! I will be giving away the MASHUP 15-Minute Digital Workouts to 3 lucky followers! To enter, just be subscribed to Adventures in Aussieland social media accounts (Facebook, Instagram, and Twitter) and leave a comment below stating why you would like to win! The winner will be announced on 31/10/2016 on the Adventures in Aussieland Facebook page. Oh how I would LOVE to win!! I gained 20 pounds since May when I had a relapse with the MS and the infusion of Solumedrol (steroids) the neurologist had to give me for 5 days. I have been struggling trying to get this weight off. I have started using a 7 minute app on my iPhone. I know it doesn't sound like much but for me it is. 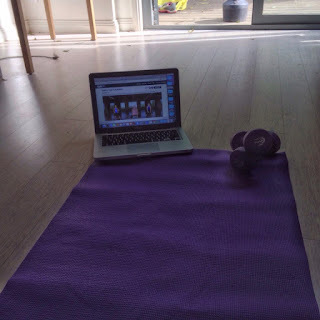 I have led a sedentary life and when starting an exercise regime any little bit is difficult. I also have been drinking protein smoothies as a meal replacement for lunch!! So I'm definitely dedicating myself to not just lose this weight but to get healthier!! But even if I don't win I will continue with my app and eating better and I will do whatever it takes to get this 20 pounds off of me!! Hopefully even more!!! Congratulations on your new found exercise program as well!! We CAN and WILL do this!! 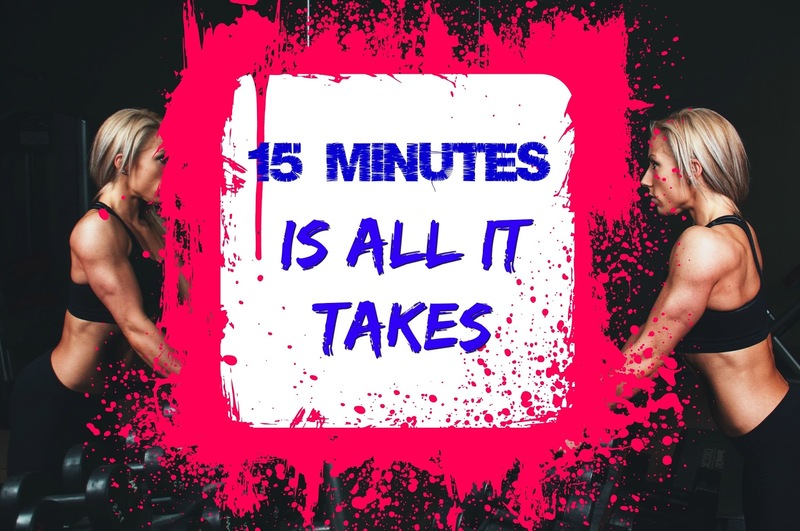 I agree it only takes 15 minutes to get in a good workout! love this! it just takes getting started!